Calcium’s connection to magnesium involves a similar relationship loop. Magnesium protects the body by controlling calcium amounts in bones and their cells. First, magnesium prevents excess calcium from forming in one place. However, it also prevents calcium leaving a cell when low amounts are present. Bones rely on this process for structural strength. Specifically, magnesium protects the bones from the body taking too much calcium from them resulting in brittle bone structure. Lack of sleep can be a contributing factor in many health issues. Occurrences of heart disease, diabetes, cold, and flu are more likely with less sleep. Magnesium is involved in regulating the daily cycle of many aspects of the body. A recent study found that magnesium levels rose and fell based on a 24-hour sleep cycle. This correlates with increased energy production during the awake hours and reduced energy output at night. In looking at heart health magnesium is an important mineral for proper function. Magnesium interacts with the heart and the connections to it. One way, in a variety of ways, is helping blood vessels relax and pump at a lower pressure. It is also an important electrolyte for muscle function. Exercise causes a loss of magnesium through sweat like many electrolytes. Furthermore, low electrolyte levels increase the risk of muscle cramp and spasm. With the heart being a muscle in the body, healthy electrolyte levels can ensure healthy heart function during physical activity. Finally, further studies on heart disease and heart failure have shown the importance of magnesium. A study published by the American Heart Association confirms this. An association was found between low magnesium levels and an increase in mortality rates from heart disease. Foods that are high in fiber generally have high levels of magnesium. Dietary sources of magnesium include whole grains, vegetables, seeds, and nuts. In addition, other sources include dairy products, meats, chocolate, and coffee. 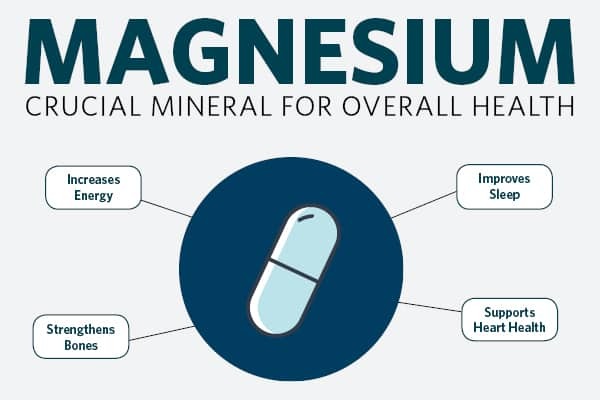 The daily recommended intake for magnesium is 400 mg for men 19 to 30 years of age and 420 mg for men over 30 years of age; 310 mg for women 19 to 30 years of age and 320 mg for women over 30 years of age. Cooper Clinic routinely tests magnesium levels as part of the comprehensive preventive. For example, A normal blood plasma level is 1.8 to 2.4 mg/dL. Cooper Complete Basic One Multivitamin contains 200 mg in our and 660 mg in our Original Multivitamin. 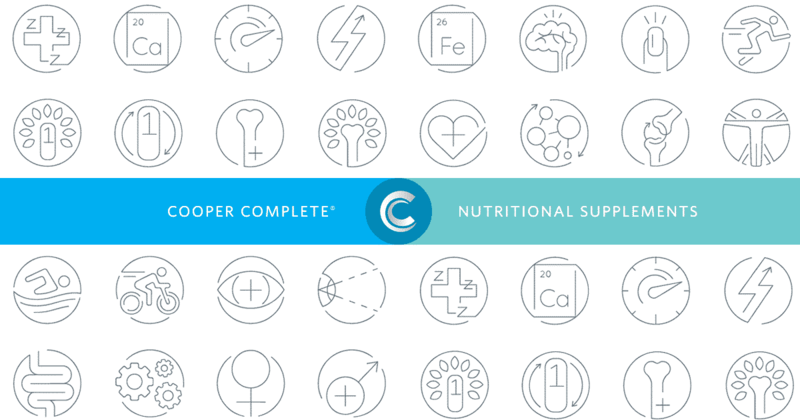 In addition, Cooper Complete also has a stand-alone 300 mg magnesium supplement to combine with a healthy diet. As a reminder, your physician understands your health profile best, so it’s important to talk to him/her about which supplements are best for you.